Eastwest Studios in Hollywood CA is ground zero for many records that are on rotation at Burl headquarters. The first stop on the “Mothership Annihilation Tour” in 2011 was a comparison between the Digidesign 192s and the Burl B80 Mothership in Studio 1. Recently, Eddie Kramer brought his Mothership into Studio 2 to record a band “Olio”. Currently Eddie is also working on a record with Robert Randolph, which has been recorded and mixed using the Mothership. Guests on this record include Buddy Guy, Santana and others. “From Frank Sinatra to the Rolling Stones, Studio 1 has produced some of the most celebrated albums in music history. Spanning over 61,000 cubic feet with a vibrant sound that’s unparalleled, Studio 1 is perfect for any session – from single voice to 70-piece symphonic orchestra.” “Simply put, Studio 2 is one of the best rock recording rooms in the world. Its high ceilings and mid-ambience provide a tight punchy sound constantly sought after by top producers like Rick Rubin. The studio has an additional drum isolation booth, a vocal isolation booth, and a Yamaha C7 grand piano that has been used on many rock albums. 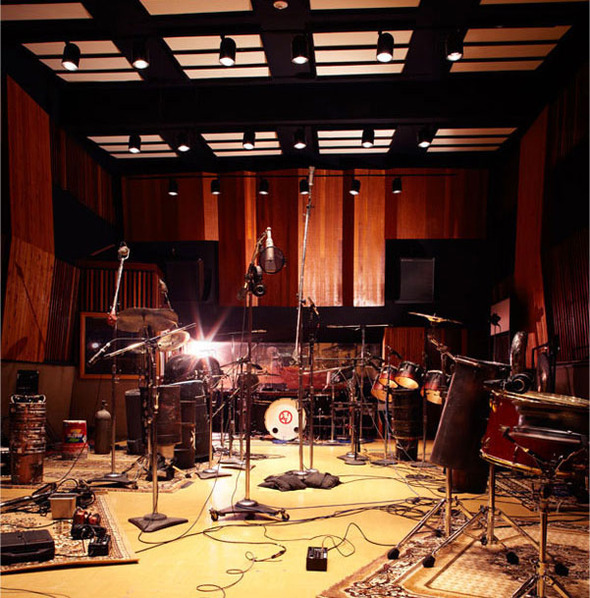 Originally the site of classic television series (The Monkees, The Partridge Family), the studio later evolved to serve the needs of The Red Hot Chili Peppers, and countless other artists. The Mamas and the Pappas and The Beach boys also did records here.